Life can be hectic. We get so focused on the day-to-day that we can easily forget to express gratitude, which is why Thanksgiving is so special. It reminds us to take a step back and take a moment to appreciate things, both big and small. 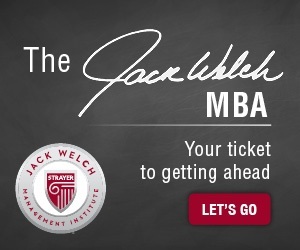 Embarking on a Jack Welch MBA is no small feat; it takes perseverance and dedication. Behind each great student is a support system allowing them to pursue the dream of an MBA. 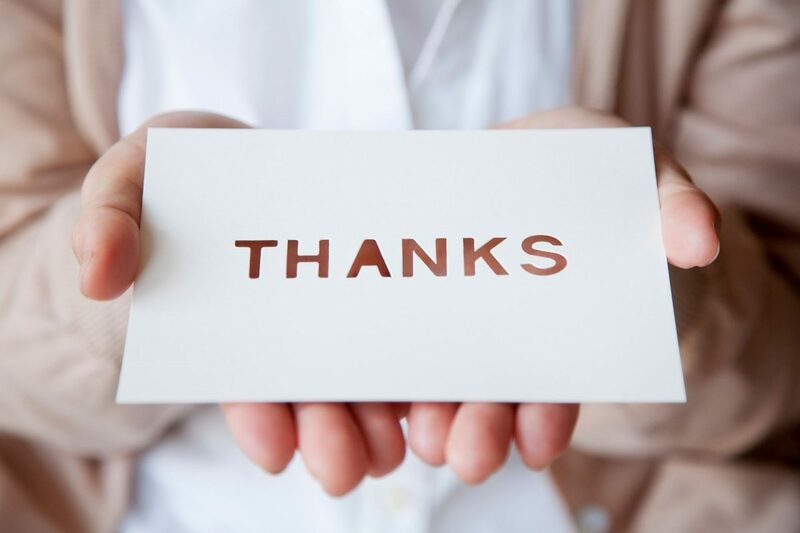 Whether a professor, wife, husband, parent, child, boss, colleague, or friend, we wanted to give our students and alumni an opportunity to say “Thank You” to those who have supported them throughout their journey. 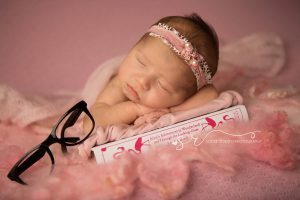 After over five years of trying, this year I am genuinely thankful for becoming a mom thanks to the beautiful baby girl I delivered on Oct. 9th, the 2nd week of my first MBA class. 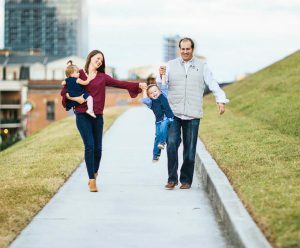 Because of this incredible blessing, I am also thankful for the love and support I receive from my husband as we navigate being first-time parents as well as the flexibility the JWMI MBA program offers which allows us to do it all. Attending anything during regular hours nowadays is next to impossible. Given this, knowing what is due for a given week well in advance and having the flexibility to complete assignments on my own time (which is usually during the hours of 2 and 5 in the morning!) allows me to be there for my little girl while also completing an MBA for me. Thank you for creating such a well-structured program that allows this to be possible!! 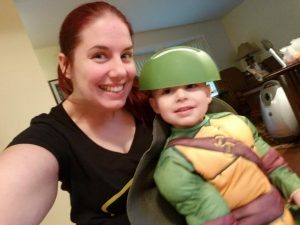 My JWMI journey started like this…My wife was four months pregnant with our second child, and our son was a year in a half. We were renting a home and actively looking to buy a house before our second child was born. 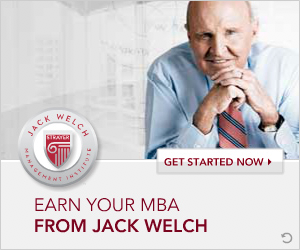 I said to my wife, “I am thinking about enrolling in a graduate program called the Jack Welch Management Institute, but I don’t know if I can handle it. I don’t know if it is the right time”…Amy’s response was, “Don’t think about it, just do it…you have my full support”. From that conversation to seven classes into the program, my wife has been the rock in our family and through my JWMI journey. Now two kids in the mix, ages three and one, she makes sacrifices weekly to ensure I have the appropriate time to complete this program. Without her support, there is no way I could complete this journey. I am thankful for many things in my life, but having the loving, caring and supportive wife that I have has me thanking my lucky stars daily. Love you, Amy!!! I am thankful for so many people and their support during my journey. I am thankful for my son, who, while he may not understand why mommy stays up late to read and write, let’s me go to class so I can earn my degree and build a better life for us. I am thankful to my dad who allows me necessary “me-time” on Saturdays so that I can focus on school work without a 3-year old clinging to my leg. I’m thankful for my job because they have been incredibly supportive of my goals. I am thankful to my mentors who let me call them anytime and give me great advice both professionally and personally. I am thankful for my professors who during these last three months of personal trials have been super supportive and understanding. I am thankful to everyone who continues to inspire me to be the best version of myself, so I can be the best student, mom, boss, and mentor. My family and I relocated from Texas to Vermont this year, quite the change! 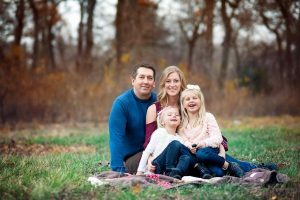 So, I am incredibly grateful to my loving wife, Lis, and two smart and talented daughters for having the courage to uproot their lives in the hopes of creating, even more, of an opportunity for future success. Shortly after my girls started at their new school in Vermont, I started at my new school, JWMI. They were fortunate to have each other as they embarked on their new adventure, and thankfully, I was equally fortunate to have my brother, Erik, who decided to pursue his MBA alongside me. My brother is my best friend and a great support system. I am very thankful to have his support and to be able to support him in turn as we progress through the Jack Welch program. We are both grateful to have this opportunity and to be able to apply what we learn daily in our careers, we weren’t sure what to expect from an online MBA, and this program has exceeded any and all expectations. And finally, we close with a “Thank YOU” from the JWMI faculty and staff. We are so incredibly grateful to all of our students and alumni for providing us with an opportunity to continue to innovate and change the world one leader at a time. To quote Jack: “It’s the most exciting thing I’ve ever seen [to hear graduates share their promotion stories as they walk across the stage at graduation. ]” We are very thankful for those that have remained open to experiencing the program and who have worked to put it in action within their careers. We wish you and your families a very Happy Thanksgiving.